Every now and then, in competitive games, there are matches where it feels like nobody lost. Yes, San Francisco Shock fell agonizingly short of dethroning the season two heirs apparent the Vancouver Titans. And yeah, they failed to snag $200,000 in bonus cash, having to settle for a second-place prize of half that. But both teams played like they’d been possessed by the roaring, never-say-die spirit of anime itself, and even if they replayed that same match 100 times, I think both would pull off 50 victories. Each Overwatch League season is broken up into stages punctuated by mini-finals; winning these gets you bragging rights and bonus cash prizes. Vancouver entered yesterday’s stage one finals on an absolute tear, going undefeated through the regular season so far and only occasionally showing cracks in otherwise pristine armor. San Francisco Shock, on the other hand, had won four and lost three, but as Vancouver would quickly learn, San Francisco walked into the arena with a chip on their shoulder. On the second map, Numbani, Vancouver came back with a vengeance, stopping SF from taking a single point and making Nepal look like a fluke. Super once again gave it his all and landed some great ults, but Vancouver adjusted and neutralized his stuns with well-timed attacks of their own. Even with the score at 2-1 in SF’s favor, Vancouver didn’t look the slightest bit rattled on map four, Dorado. They denied SF’s attack with relative ease and only had to push the payload a portion of the way past the first checkpoint to even up the score once again at 2-2. The two teams, ensnared like Gandalf and the Balrog, next took their tussle to Ilios, where both teams looked strong and took a round apiece. During the third round, Vancouver brought out Orisa and McCree, a potent combo in close proximity to the giant well in the middle of the point. For most of the ensuing skirmish, SF had no answer, and it looked like Vancouver would use their newfound yeehaw energy to close things out. Then, with Vancouver closing in on 100 percent, SF shifted to a more mobile, Winston-based composition, finally dislodging Vancouver’s less adaptive composition from the point. Forced to switch to the same composition as SF but with less ult charge, Vancouver faltered. In the end, SF just barely snatched victory from the brink of defeat. This really was a triumph for both teams. Vancouver, a former top Korean team that came into their first OWL season with a lot to prove, ended up proving quite a lot. Not only are they terrifyingly good, but they can battle back from adversity miles away from home and under shoulder-buckling pressure. SF, meanwhile, has completed their transformation from half-assembled, back-of-the-pack season-one team to potential season two champs. 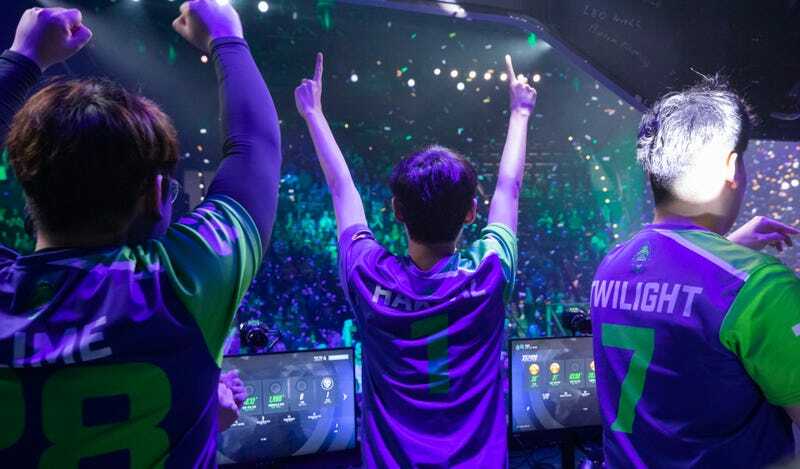 Thanks to a new hero and a bevy of balance changes, stage two will almost certainly throw the rankings into disarray, but Vancouver and SF will remain teams to watch for the rest of the season.